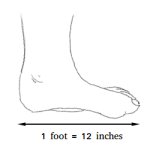 In geometry, a line is a set of points that extends in two opposite directions without end. 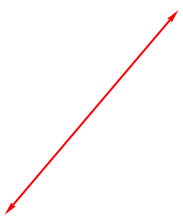 A straight two-headed arrow is used to represent a line as shown below. A line is endless in two directions. In other words, it extends indefinitely to the left and to the right. It is not possible to draw a line on paper because a line is endless. That is why what you see above is a representation of a line.